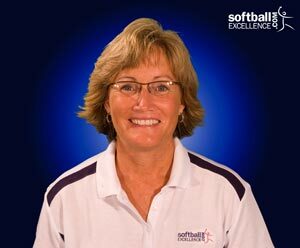 Softball Excellence is proud to announce that Cindy Bristow has been named to the National Pro Fastpitch (NPF) Board of Advisors. Cindy will serve along with the 9 other standouts including Mike Candrea, Jane Cowles, Sue Enquist, Jennie Finch, Billie Jean King, John Kruk, Jessica Mendoza (Player Representative), Denise Michaels, and Beth Mowins. The Board of Advisors will address issues and concerns that face the League. Additionally, the Board will advise the Commissioner and Team Owners and will contribute to the League’s primary initiatives of expansion and increased media coverage. Bristow said “I’m honored to be included in such a tremendous group of people and am really looking forward to helping the NPF become a thriving professional league that all young girls can dream of playing in someday”. This is an exciting announcement to help kick off the college and high school softball seasons! The Board is expected to begin right away in preparation for the upcoming 2011 NPF season. Here is a closer look at the bios of the NPF Board of Advisors Members. As a player, coach and administrator, Cindy Bristow has more than 35 years of softball experience. Bristow’s resume includes coaching at the college and professional levels, as well as teaching within her Softball Excellence platform and speaking nationally and internationally as a clinician. For seven years, Bristow was the Director of Junior Olympic Softball for the Amateur Softball Association, where she oversaw all youth softball in the United States. 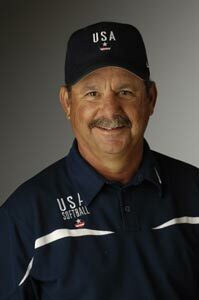 Once softball became an Olympic Sport, Bristow became the Director of National Teams and Coaching Development for USA Softball. It was in this role that she helped guide the selection of the United States’ first-ever Olympic Softball team that won a gold medal in the 1996 Olympic Games. From there, Bristow went onto work for the International Softball Federation (ISF) as its Director of Development working with over 126 countries to increase their level of coaching and play. As one of the most accomplished coaches in any sport on any level, Mike Candrea is synonymous with softball excellence. Candrea’s accomplishments on the college level are astounding, more than 1,100 Division I victories, 22 Women’s College World Series appearances, and a remarkable eight national titles in the last 19 years. On the international stage, he guided the U.S. National Team from 2002-2008. During his six seasons with the national team, the team captured titles in the Pan-Am Games, World Cup, and Japan Cup, as well as World Championship titles in 2002 and 2006. He guided the U.S. Olympic Softball team to a gold medal in 2004 in Athens and a silver medal in the 2008 in Beijing. In 2004, Candrea became the first coach in any sport to be honored with the Olympic Shield award presented by the United States Olympic Committee. 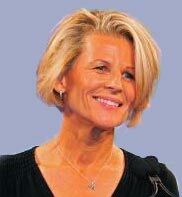 Candrea currently is the Head Coach at the University of Arizona. In 1996 he was inducted into the National Fastpitch Coaches Association Hall of Fame. Cowles played a founding role in the development of professional fastpitch softball, when in 1989, along with her family, she was instrumental in beginning the WPSL (Women’s Professional Softball League). She navigated through the process of ownership and management of a professional sports league throughout the 90’s and early 2000’s, experienced changes in the league from WSF to WPSL and continued as a board member/owner until the Cowles family passed the torch to NPF in 2004. The NPF Championship Series Cowles Cup is named after the Cowles family and stands as recognition to their significant contribution to the sport of professional fastpitch softball. Cowles graduated with a MS in Physical Therapy from the University of Southern California and worked in physical therapy and sports medicine until 1999. She is currently a past President of Pat Graney Dance Company and is current President of Unity Avenue Foundation, since 1985. Enquist is arguably the most accomplished coach in NCAA softball, holding more National Championships (11) than anyone in the history of the sport. She is UCLA Softball’s first All-American, National Champion, and Hall of Famer. She is the winningest coach in NCAA Division I Softball. Enquist is a 4-time Hall of Famer; former World Champion and USA National Team coach and player; she is the only person to have played on the first Pan American gold medal team (1979) and to coach on the first Olympic Team National Staff (1996). She concluded her UCLA MVP playing career with a career batting average of .401 and as a Bruin coach and player she has a combined 1314 wins. As a player, she was the number one draft choice in the Professional Softball League in 1978. Additionally, Enquist is a former professional surfer. Beyond her roles as coach and player, Enquist is regarded as a leading innovator of softball instructional materials and equipment. Off the softball field, she has gained the reputation as a dynamic and highly sought after international motivational speaker. Currently, she runs over 30 seminars for parents, coaches and players across the United States. Heralded as the most recognizable player to ever play the game, Finch made her mark on fastpitch softball both on and off the field. While at the University of Arizona, she was not only a National Champion, but made her mark individually by setting records and garnishing honors. Among those honors, Finch was twice awarded the Honda Award, named MVP of the WCWS in 2001, twice named Pac 10 Player of the Year, three-time first team All American, recipient of Ruby Award for most outstanding senior athlete at U of A, and set a national record for most consecutive victories at 60 – with 32 of those coming in the Championship year of 2001. Internationally, Finch is a two-time Olympian. She was a gold medalist in Athens in 2004 and a silver medalist in Beijing in 2008. She has been a part of many international championships with Team USA including World Championships, Japan Cups, Pan Am Games, and World Cups. Professionally, Finch was drafted by the NPF Chicago Bandits in 2005 and garnered NPF Co-Pitcher of the Year her rookie season. Finch played with the Chicago Bandits for six consecutive seasons before retiring following the 2010 campaign. This spring the Chicago Bandits will open a brand new 6 million dollar stadium located on Jennie Finch Drive in Rosemont, IL. Between 1961 and 1979, Billie Jean King won a record 20 Wimbledon titles, including the singles in 1966–8, 1972–3, and 1975. She also won 13 US titles (including four singles), four French titles (one singles), and two Australian titles (one singles). Off the court, King fought for equal prize money for men and women and in 1971 became the first female athlete to win over $100,000. This campaign for equality is most notably remembered by her 1973 “Battle of the Sexes” match against 55-year-old tennis champ Bobby Riggs, who claimed the women’s game to be inferior. The match drew considerable publicity and before a worldwide television audience of some 50 million, King beat Riggs 6-4, 6-3, 6-3. 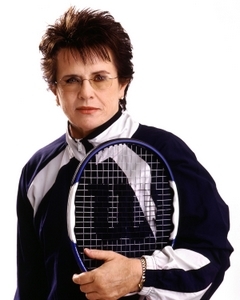 In 1974, Billie Jean King became the first president of the Women’s Tennis Association. She headed up the first professional women’s tour, the Virginia Slims, in the 1970s. She was elected to the International Tennis Hall of Fame in 1987 and served as captain of the United States Fed Cup team in the 1990s. King is the founder of the Women’s Tennis Association, the Women’s Sports Foundation, and World Team Tennis. John Kruk, a three-time All-Star (1991-93) outfielder/first baseman had a decorated 10 year run in Major League Baseball with the Philadelphia Phillies, San Diego Padres, and Chicago White Sox. In 1993, he batted .316 to help bring his Philadelphia Phillies team through the National League Championship and onto the World Series against the Toronto Blue Jays. Although the Philles lost the Series, Kruk’s average throughout baseball’s most coveted contest was a staggering .348. Although he retired from baseball in 1995, he presently ranks 70th on the Major League Career Leaders List in on-base percentage, between Hall of Famers Earle Combs and Richie Ashburn. 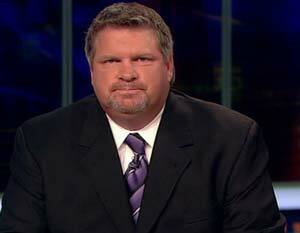 Kruk currently serves as an analyst on ESPN’s Emmy Award-winning Baseball Tonight. He joined ESPN in the 2004. He has also joined the NCAA Women’s College World Series staff in the booth in Oklahoma City where his broadcast partners were fellow NPF Board Members, Beth Mowins and Jessica Mendoza. Mendoza emerged from Stanford University as a decorated NCAA softball athlete that impacted Stanford softball in a substantial way. The PAC 10 Newcomer of the Year went onto rack up All Pac 10 Team honors repeatedly, Pac 10 Player of the Year, 4 First Team All American honors and Stanford Female Athlete of the Year in 2002. Additionally in 2001, she helped lead her Stanford team to its first ever Women’s College World Series appearance. Following up her decorated college career, Mendoza embarked on a tenure with Team USA that would garner her an Olympic gold medal in Athens in 2004 along with an Olympic silver medal in Beijing in 2008. She was an accomplished and successful athlete for Team USA during her time in the red, white, and blue, capturing titles at the Pan-Am Games, World Championships, Japan Cups, and World Cups. Individually, Mendoza was the USA Softball Player of the Year in 2006 and the Women’s Sports Foundation’s Sportswoman of the Year in 2008. Mendoza began playing professionally, in 2005, when she was drafted to the NPF’s Arizona Heat in. She also played for the Terrasvogels in Harlem, Netherlands in 2005. Mendoza would leave the NPF for several years following the 2005 season, not to return until the 2010 season, with the USSSA Pride. She helped the Pride capture the coveted Cowles Cup in August of 2010 at the NPF Championship Series in Sulphur, LA. Mendoza was President of the Women’s Sports Foundation 2009 through 2010 and is currently a Softball Color Analyst as well as a Football sideline Reporter for ESPN. 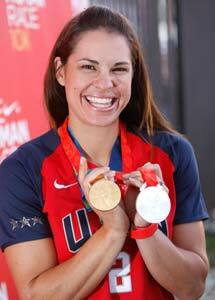 She is currently a member of the USSSA Florida Pride and is the Player Representative to the Board of Advisors. Michaels is Senior Vice President at Sanderson Strategies Group where she works with clients at all levels to design and integrate their internal and external communications plans, develop and improve brand definition and recognition, guide strategy for public actions, and inoculate them against criticism. 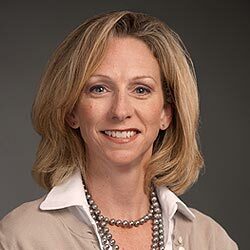 Denise joined Sanderson Strategies Group in 1999 after spending six years in the public relations department of Major League Baseball. During her tenure at MLB, the league underwent a change of Commissioner, dealt with congressional, legal and labor issues, and enacted wildly successful changes in the game’s format. With this experience, Denise is able to provide insight into the operations of the firm’s sports clients and designs strategy to help them achieve their short- and long-term goals. While at Major League Baseball, Denise worked in the public relations office as they managed the day-to-day crises of baseball, and was a part of the team that put together MLB’s premier and one-time events, including The World Series, The All-Star Game, the Jackie Robinson Barrier Breakers Celebration, and the launch of its first league-wide charity with the Boys & Girls Clubs of America. These experiences provide her with a strong backstage knowledge of the inner workings of a national sports league, an understanding of fan, decision-maker and media concerns, and the ability to organize and execute plans to meet these concerns. Mowins is a play by play announcer for ESPN calling College Football, College Basketball, College Softball and a variety of events such as the Womens College World Series, NCAA College Cup and NCAA Volleyball Championships. She is the most recognized voice in softball broadcasting and is a mainstay in the WCWS coverage. Mowins is also co-host of the first national womens podcast, “Shootaround with Beth & Debbie”. Mowins is a graduate of Lafayette College where she captained the basketball team and is a member of the Maroon Club Hall of Fame. She also has a Masters degree in Broadcast Journalism from Syracuse University’s Newhouse School of Communication.